Lonmin Plc Says Cost Savings "Well Ahead Of Schedule"
Lonmin undertook a rights issue in December 2015 to raise capital due to falling platinum prices. 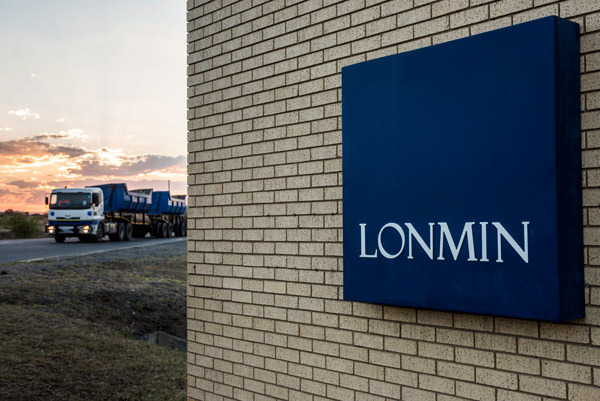 On Monday, Lonmin Plc (LON:LMI), one of the world’s largest primary platinum producers, released its Interim Results for the period ended 31 March 2016. Highlights from the update included net cash improving within the period to $114 million as of 31st March 2016 in comparison to $185 million net debt on 30th September 2015. The group outlined total liquidity of $474 million which comprises gross cash of $264 million prior to a deduction of the drawn term loan of $150 million and undrawn debt facilities of $210 million. Reorganisation of the platinum producer was indicated as being successfully completed after 5,433 people left the business as of 31st March with an additional 1,428 employees being reskilled and redeployed into vacant more productive positions. Cost savings during the period were noted as being well ahead of schedule with R469 million in cost savings being achieved during the first half of 2016. This totalled to 67% of the groups full year goal of R700 million. The company reported continued unit cost improvements as PGM unit costs of R10,668 with PGM unit cost contained to R10,390 per PGM ounice in Q2 with full year guidance of R10,400 being maintained. “These results reflect the positive momentum in Lonmin, we have delivered on our promise to restructure and cut high cost production in this oversupplied market while simultaneously reducing costs and improving cashflows. Quarter on quarter, Lonmin has reduced unit costs to R10,390 per PGM ounce and improved the net cash to $114 million; thus delivering on our promise at the time of the Rights Issue to be cash positive after capital in this subdued PGM pricing environment. There is still a lot of hard work ahead as we squeeze out more costs and drive operational improvements and our key risks remain safety and its related stoppages and relationships. Lonmin has long life, shallow mining assets and unrivaled processing expertise and an invaluable mine to market business. Looking at the second half of 2016 the group said it expects demand from the automotive and chemical industry for platinum to remain firm despite current concerns over the diesel market and the economic headwinds in China. As emerging markets catch up with stricter emission standards compared to developed markets higher PGM loadings may be seen. The jewellery market has also been thought to remain flat during 2016 however the company said it still offers upside opportunity during the medium to long term. Receive Lonmin Plc News & Ratings Via Email - Enter your email address below to receive a concise daily summary of the latest news and analysts' ratings for Lonmin Plc with MarketBeat.com's FREE daily email newsletter.